University of Minnesota student Antonio Elias, left, and Mitch Rold created Hablando Franco in the hopes to inform the Latino community all over Minnesota. 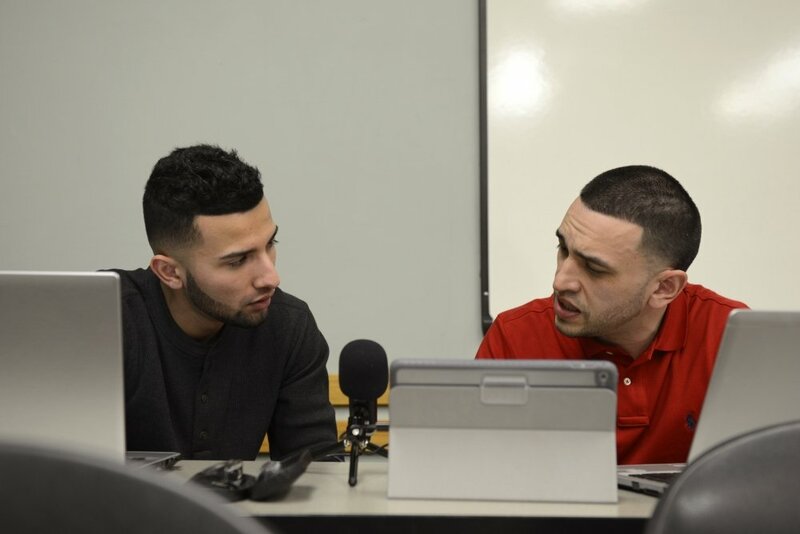 After working with Latino school kids and parents in Minneapolis, Antonio Elias, a University of Minnesota Student and member of the latino based fraternity Sigma Lambda Beta, and Mitch Roldan wanted to give local Latinos a new platform for news. This lead to the creation of Hablando Franco — a Spanish-language podcast that will feature news and commentary that aims to inform Latinos all across Minnesota. The podcast which translates to Speaking Frankly, will touch on a variety of topics and issues facing the Latino community, from new policies incorporated by the new presidential administration, to more local issues such as the lack of teachers of color in Minnesota. Listen to the podcast at their official website and read more about the impact they aim to have on the Latino community in Minnesota at the Minnesota Daily. The Cedar-Riverside neighborhood on Sunday celebrated the grand opening of a long-heralded career center aimed at connecting area residents to employment opportunities and educational resources. The ribbon-cutting ceremony for the Cedar Riverside Opportunity Center, which has been in the making for over two years, drew nearly 100 neighborhood residents and government officials from the city of Minneapolis and Hennepin County. The center was founded to combat unemployment challenges among East African residents in the neighborhood, which has long seen some of the highest joblessness rates in the city. Find out more about the impact this new career center will have at MinnPost. The East Side Freedom Library has been selected as the 2017 winner of the John Sessions Memorial Award. Find out more about the East Side Freedom Library at Workday Minnesota. On Nov. 2, a multiracial group of people gathered at Plaza Centenario on the corner of 12th Avenue and Lake Street in Minneapolis. Change is coming to racist murals in St. Paul City Hall Four racist murals hung at St.